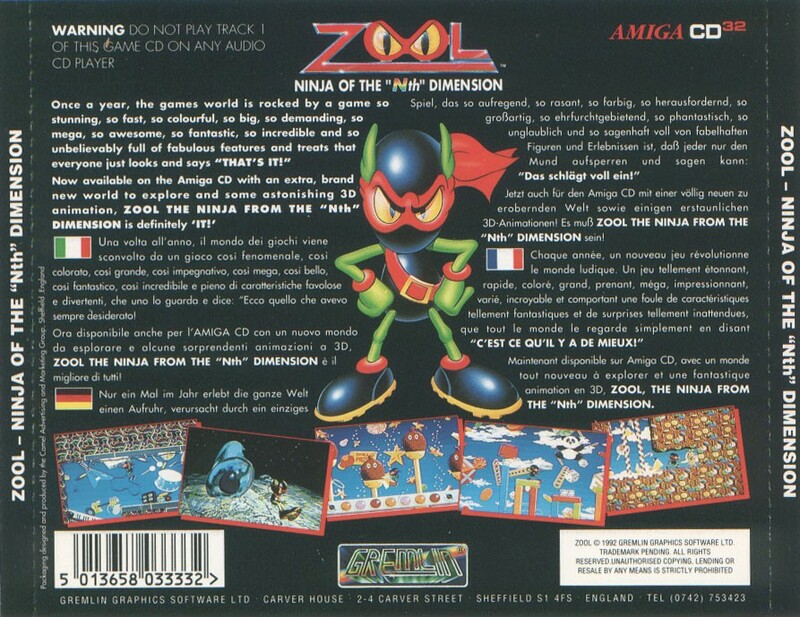 Zool was partially recognised as the Amiga's mascot like Mario was on Nintendo and Sonic for Sega. This game is very fast like Sonic and colorful as Mario, but isn't that fun...There is tons of platformers on Amiga and this one is still among the better ones, but games like Superfrog, Turrican, Leander, Jim Power and Wolfchild is better. 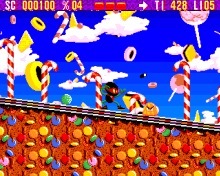 There are several power-ups in Zool and that is a good thing and you also have checkpoints. Some levels are large enough and the whole thing scrolls 8 ways, but you get frame drops if there is too many sprites on the screen at the same time.. Lame programmed i guess. On the disk version you could only play either music or soundfx, but not both at the same time. The CD version is better because the music is runned from CD and the sound channels are free for sound effects. But why didn't they remix the very cool tracks from the disk version? The CD music is not as good, but the level 1 music and title screen track is very good, but the rest is only ok. Patric Phelan doesen't seem to handle the CD possibility as good as Protracker, but the CD sound quality is nice. Patrick could make way much better using Protracker and legendary melodic tunes. He had the same "problem" on Lotus Trilogy too.. Discarded the original tunes and made completely new more boring ones. 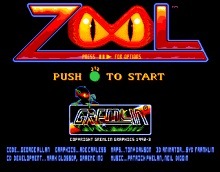 Zool have been released on other systems too after the amiga releases. Super Nintendo, Gameboy, Jaguar 64 and Megadrive/Genesis got their versions too. the SNES version may be the best version since it have nice color palette and original disk music + sound effects at the same time. 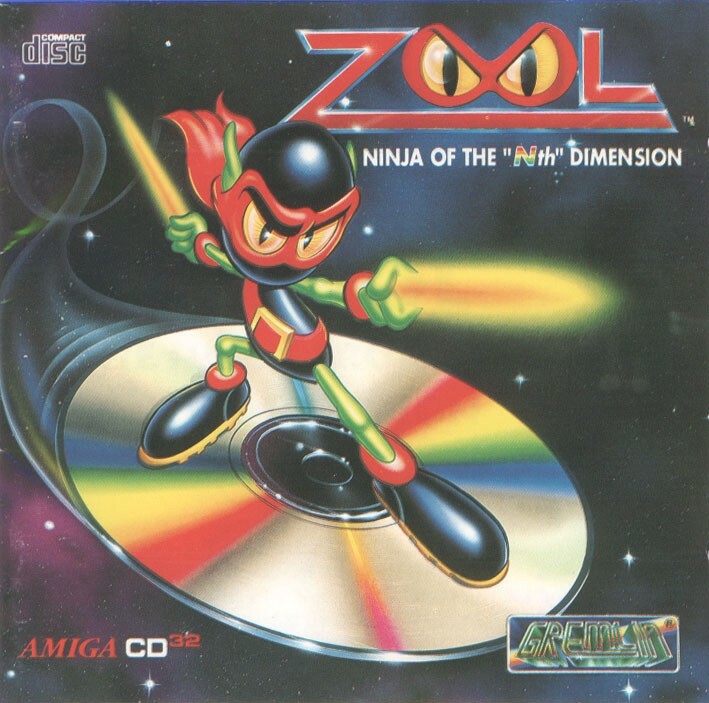 The CD32 version have a nice 3D rendered intro with Zool kicking etc. , but is short. The main game isn't much CD enhanced, but is a great game for platform owners anyway.